VANCOUVER, BC – The Donnelly Group, a collective of bars, pubs and other venues in Vancouver, has announced a partnership with Phillips Brewing in conjunction with the upcoming 2017 edition of Vancouver Craft Beer Week. From May 26th to June 4th, Donnelly Group establishments will be pouring “delicious, rare, and brand new beers” from Phillips, and customers are invited to pick up a Beer Passport and collect stamps at each location. Each stamp will increase chances of winning a variety of prizes from Donnelly and Phillips. 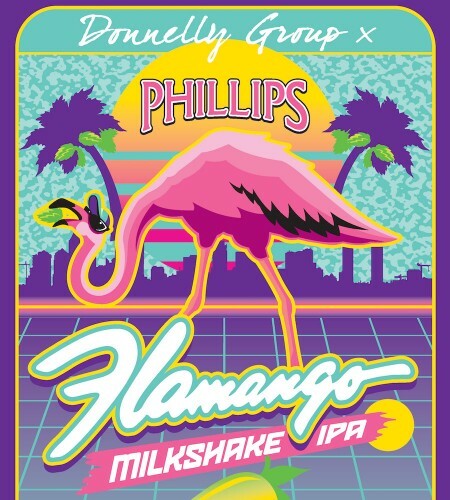 In addition, Phillips has brewed Flamango Milkshake IPA – an unfiltered IPA with mango – which will be pouring exclusively at Donnelly Group bars and pubs throughout the promotion. Donnelly Group will also be holding the VCBW-featured IP-Hazy Whole Hog Cookout + Crawfish Boil on June 1st at The Lamplighter, featuring a pig roast, seafood boil, and a selection of unfiltered and milkshake IPAs on tap. And on June 3rd and 4th, the VCBW Festival at the PNE Fairgrounds will include a Donnelly Group Publican’s Quarter featuring games, a pop-up barber shop, craft beer cocktail bar, and more.